Kloesterle-Sonnenkopf (or Klösterle/Sonnenkopf), in Austria, is a medium sized ski resort with 9 ski lifts that offers skiers an incredible 1300 metres (4265 feet) of vertical descent. Kloesterle-Sonnenkopf (or Klösterle/Sonnenkopf) has 30 kilometers (19 miles) of pistes. 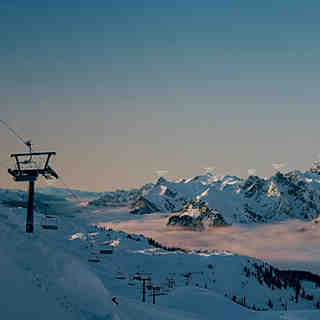 It is part of the single Ski Arlberg pass which is also valid for St Anton, Stuben am Arlberg, St. Christoph, Lech, Zürs, Warth, Schröcken and Pettneu. A free bus links all these areas.